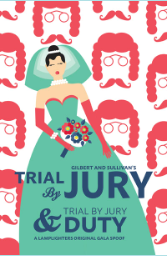 Lamplighters Music Theatre’s production of Trial by Jury & Trial by Jury Duty runs for one more weekend in San Francisco, playing at the Herbst Theatre on April 6 and 7 at 2pm! 2019 Copyright Jennifer Alexis Mitchell. Blossom Beauty by Blossom Themes. Powered by WordPress .